In a large skillet, over medium low heat, add the oil, garlic and shallot. Cook until softened. Stir in the arborio rice, stir and cook until the grains are translucent in the center. Stir in a ladle full of broth at a time, stirring frequently until each ladle in absorbed then add the next. Once you are down to about 1½ - 2 cups of broth go ahead and add in the asparagus and continue cooking until all the broth is used. Shut the heat and stir in the pecorino cheese and lemon zest. Garnish with additional cheese and zest if you'd like. Serve immediately. Springtime means is asparagus season! 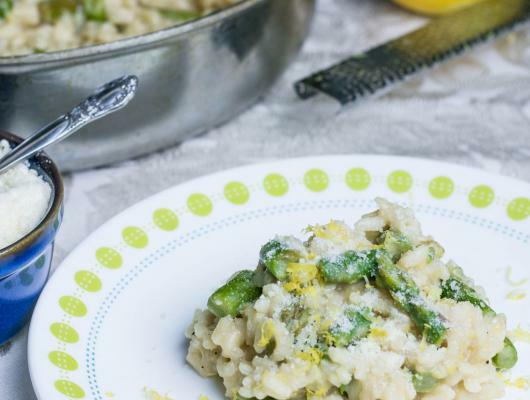 Asparagus and lemon is a great fresh combo and that paired with creamy risotto is so good! 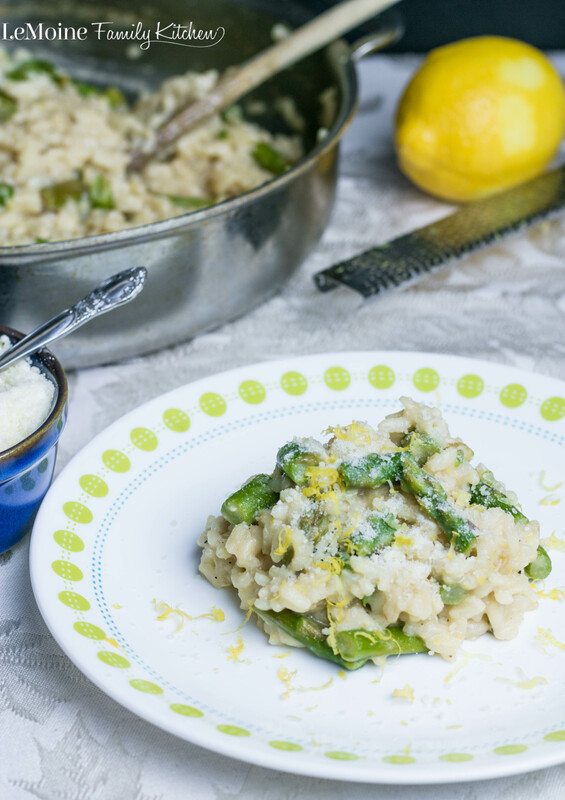 This Lemon Asparagus Risotto is absolutely delicious and actually pretty darn easy too with a little patience! Risotto is such a beautiful and elegant dish, an Italian classic.